Want to manage your diabetes this way? FDA says no. Action Alert! “Medical foods,” by federal definition, aren’t simply a diet plan prescribed by a doctor. They are foods that are specifically formulated and processed for a sick patient. They form a separate category from conventional foods and dietary supplements in that they are intended to meet specific nutritional requirements for the management of a disease or condition, and are used under medical supervision. These foods can be consumed orally or through a feeding tube. 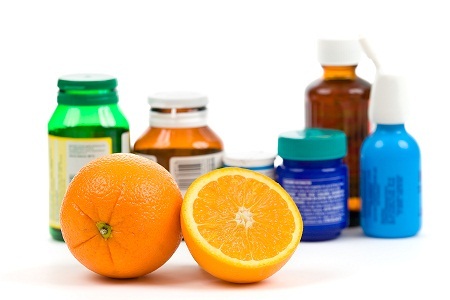 Medical foods do not require FDA premarket approval. Manufacturers of such foods can make disease claims, which means they are exempt from the labeling requirement for health claims with its demand for random controlled trials. Medical foods do, however, have to follow current good manufacturing practices (cGMPs), facility registration, and other normal safety requirements. The FDA has just issued an updated draft guidance on medical foods, and this new version drastically limits the number of medical conditions that medical foods can be used to manage. The guidance now uses “inborn errors of metabolism” (IEMs) to determine which diseases or conditions are included on the list. For example, inherited biochemical disorders in which absence of an enzyme interferes with the metabolism of protein, fats, or carbohydrates would be treatable with medical foods. The guidance excludes diseases resulting from essential nutrient deficiencies like scurvy and pellagra. Outrageously, the guidance specifically excludes diabetes—both type 1 and type 2, as well as gestational diabetes—because, according to the FDA, diabetes can be controlled by simply managing or tweaking one’s normal diet (along with taking FDA-approved drugs, of course). According to the FDA, type 1 diabetics should use carbohydrate counting or the carbohydrate exchange system to match their insulin dose to their carbohydrate intake. And type 2 diabetes patients should simply restrict calories, eat regularly, increase fiber intake, and limit their intake of refined carbohydrates and saturated fats—in addition to taking prescribed drugs. This is consistent with the usual FDA stance, which wants there to be as little competition as possible for approved drugs. By contrast, nearly all integrative physicians and even many conventional doctors would argue that diabetes requires very aggressive nutritional intervention, and medical foods can be a vital part of the treatment plan. Merely tweaking one’s normal diet is not sufficient to provide enough nutrients to correct the condition. Leaving aside our nutrient-depleted soil, there’s the fact that many (or even most) people have extremely poor eating habits. Perhaps it’s because they haven’t been clearly taught about a proper diet for their disease, or perhaps they lack the discipline required to monitor their eating so carefully. Whatever the reason, making a few changes to the standard American diet will almost certainly not be enough to manage conditions like diabetes or nutrient-deficient diseases, whereas medical foods may. For example, this ingredient list for the medical food for diabetes provides many of the essential nutrients required—including a number of specific vitamins, cinnamon, and plant sterols—all of which are essential toward managing diabetes. Another problem with the FDA’s guidance is that since medical foods are, by definition, administered under medical supervision, the patient’s physician is fully qualified to decide whether the medical food is required or not. The FDA doesn’t need to override doctors’ judgment and tell them what’s necessary for their patient! Yes, doctors are often remarkably lacking in nutrition knowledge. But if so, the FDA is even more lacking. The problem with FDA’s approach is that it eliminates beneficial products from the marketplace, requiring them to either proceed through the drug approval process or be marketed as dietary supplements with limited structure/function claims, thus depriving consumers of valuable information that can improve their health. Although some diseases and conditions that have special nutritional requirements can be managed through diet modifications alone, not all consumers are willing or able to make drastic diet modifications. If FDA’s new position stands, companies could resort to the DSHEA’s health claims provisions to spread information concerning a nutrient’s relationship with certain disease states. Action Alert! Tell FDA they need to broaden their list of diseases and conditions for which medical foods may be administered, not restrict it! Especially let them know that diabetes patients need this kind of targeted nutrition therapy, and merely tweaking their regular diet is not enough. What we need are better medical foods, not the elimination of them. Another good idea would be to let supplement companies make medical foods, rather than just drug and medical products companies. Please send FDA your comments today!